Each year as a church we want to come together and address issues of race in our society and how the Gospel impacts our views. 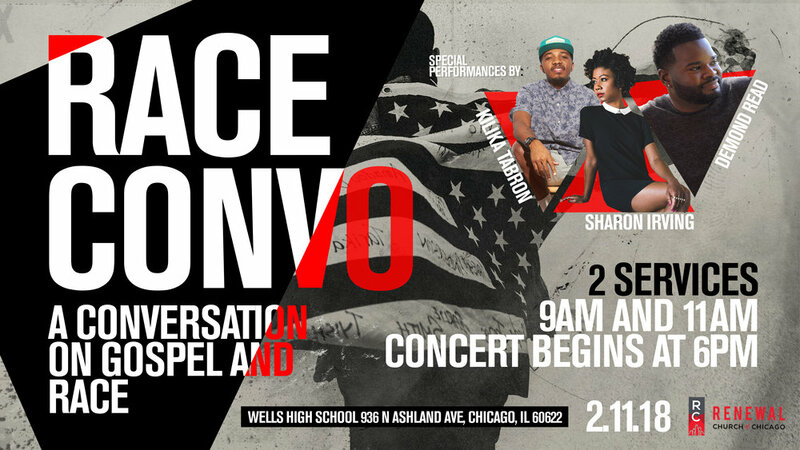 Join us for a panel discussion at our normal 9 am and 11 am service times. We will also be having a concert starting at 6 pm to help bring together people from all different backgrounds and ethnicities.